The press is ever sizzling today! I have another hot hot release for you and get excited because it's totally perfect for the upcoming World Cup series. 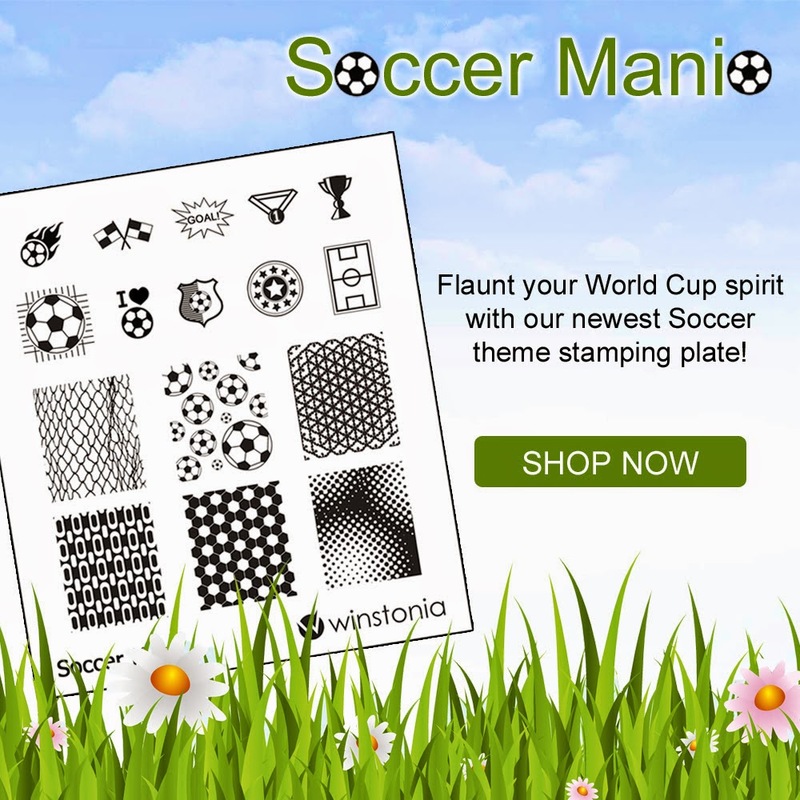 Yes that's right once again Winstonia Store released a plate out of nowhere again from their square plate series. This one is aimed at soccer fanatics world wide, and for those ladies that don't know this year the upcoming world cup will be held right in Brazil! I'm actually very excited for this plate because I love the World Cup or to be more precise I love meeting my guy friends in a bar to eat nachos and drink awesome beer while well honed specimens of masculinity attempt to dominate a field of evergreen.